” In summary then, the key leadership roles of the ABG include reconciliation and unification of Bougainville, using its powers and resources to make and implement policies and laws that deal with the problems and realise the aspirations of Bougainvilleans, speak for them in dealings with the PNG National Government and the international community, and act in their interests in preparing for their act of self-determination, in the form of the referendum. I am pleased, and honoured, to be here in Australia, and in Canberra in particular. This is a wonderful opportunity for me to contribute to the ongoing development of positive personal relationships between the leaders and people of Bougainville and the leaders and people of Australia. So I must express my sincere thanks to the Australian Department of Foreign Affairs and Trade for facilitating my visit. Thank you, too, to the SSGM Program, here at the ANU, for inviting me to make my presentation here today. The subject that I have been asked to discuss – that is, LEADERSHIP CHALLENGES FOR THE AUTONOMOUS BOUGAINVILLE GOVERNMENT – is, I think, an important one. It raises key issues about the central roles for the Autonomous Bougainville Government (or the ABG) envisaged by the Bougainville Peace Agreement (or the BPA). Many of the ABG’s leadership challenges are inherent in the general situation of Bougainville in 2016. In a real sense it is a “post-conflict” situation – in that Bougainville’s violent, destructive, and deeply divisive nine year civil war ended almost 19 years ago now, in mid-1997. But of course, divisions, tensions and various forms of conflict (sometimes localised violence) continue. This complex ongoing and endlessly changing situation presents constant challenges for leadership at all levels, including the ABG. There are, however, some critically important ABG leadership roles intended by the BPA. The reasons for, and the nature and significance of these roles are best understood by reference to the deeply divided conflict situation in Bougainville in the mid-1990s, in the several years before the peace process began. The ‘moderate’ leadership on both sides of the main divide within Bougainville had by then become increasingly conscious of the long-term dangers for Bougainville if violent conflict between Bougainvilleans continued. Any dreams of self-determination for Bougainville would be under grave threat. Against that background, it should be no surprise that from the very beginning of the peace process, the focus amongst the Bougainville leaders committed to the process was on unification of Bougainville. 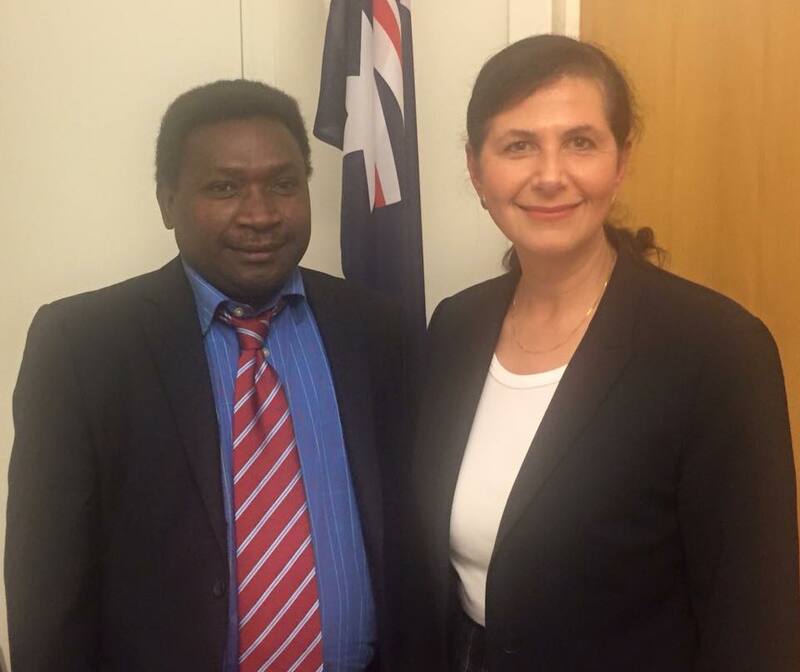 It was for that reason that the first step in the process was the extended meeting of opposing Bougainvillean leaders in the Burnham One talks in New Zealand. And of course, those talks were in fact a resumption of the previous talks between the divided Bougainville leadership held in Cairns, Australia, in September and December 1995, initiated largely by Theodore Miriung (then Premier of the Bougainville Transitional Government). The deep drive for unification was always in large part directed to replacing the parallel and opposing Bougainville government structures generated by the conflict. The Bougainville Revolutionary Army had its associated ‘civilian’ government, the Bougainville Interim Government (or BIG), headed by Francis Ona. The BIG had its own system of local-level government – a three tier system of Councils of Chiefs. Opposing them were the Bougainville Resistance Forces (or BRF), and, from 1995, the Bougainville Transitional Government (or BTG). The BTG began establishing its own system of local-level government in 1996, the Councils of Elders. There were even separate women’s organisations associated with the BIG/BRA, and the BTG/BRF, respectively. So it’s not surprising, perhaps, that once the Burnham One talks saw the opposing leadership agree to work together for peace, that in the January 1998 Lincoln Agreement they agreed with the Papua New Guinea Government on the need for “free and democratic elections on Bougainville to elect a Bougainville Reconciliation Government before the end of 1998”. Through 1998 and 1999 a great deal of effort went into achieving the much sought after Bougainville Reconciliation Government. Indeed, the pursuit of that goal itself became divisive. In late 1998 efforts were being made to not only continue the operation of the PNG’s 1977 Organic Law on Provincial Government in Bougainville but also amend that Law to provide a basis for the Reconciliation Government. When those efforts unexpectedly failed, the 1995 Organic Law on Provincial Governments and Local-level Governments began operating in Bougainville from 1st January 1999. That should have resulted in establishing of a new Bougainville Interim Provincial Government headed by then Bougainville regional MP, John Momis, as Governor. BIG/BRA leaders, and others, saw this as contrary to the Lincoln Agreement commitment to establishing a Bougainville Reconciliation Government. As a result, the National Government was persuaded to suspend the interim Provincial Government from the instant that the 1995 Organic Law came into operation in Bougainville on 1 January 1999. That allowed the establishing in the first half of 1999 of an elected Bougainville People’s Congress (or BPC), without a basis in legislation. The intention was that the BPC would be the Bougainville Reconciliation Government. But of course, those who’d hoped Momis would become governor were upset by the suspension action, and the establishing of the BPC, especially when former senior BIG leader, Joseph Kabui, was elected BPC President. These problems in implementing the Lincoln Agreement provisions for a Bougainville Reconciliation Government, meant that far from unifying and reconciling, the process was itself divisive. As a result, when the negotiations for a ‘comprehensive political agreement’ (also required by the Lincoln Agreement) began on 30 June 1999, those supporting Momis and the establishing of the Bougainville Interim Provincial Government refused to participate. It was a combination of a range of efforts from mid-1999 to achieve a reconciliation amongst the divided leadership, and a PNG Supreme Court decision late in 1999 that saw a remarkable compromise agreed. The Bougainville Interim Provincial Government would operate as the legal government for Bougainville, but would make all decisions in consultation with the ‘extra-legal’ BPC. So from late 1999, leadership was shared, between Governor Momis and President Kabui. Though the term used in the Lincoln Agreement – the Bougainville Reconciliation Government – was never applied to this unique, ad hoc arrangement, it was truly a ‘reconciliation government’. It brought together previously opposing factions and opposing leaders in creative, flexible and highly inclusive arrangements that worked. It was this set of arrangements for the ‘reconciliation government’ that provided leadership and government for Bougainville until the ABG was elected in June 2005. Momis and Kabui jointly led the combined Bougainville negotiating team that from December 1999 negotiated for the BPA, signed on 30 August 2001. The successful operation of these ‘reconciliation government’ arrangements undoubtedly provided the firm foundations necessary for the ABG to become the true, long-term ‘reconciliation government’ for Bougainville. These ad hoc arrangements were actually far more inclusive, and reconciliatory, than the single elected Bougainville Reconciliation Government envisaged by the Lincoln Agreement could ever have hoped to be. The flexible arrangements were expensive and unwieldy. They involve the elected BPC of more than 100 members, and the appointed Bougainville Interim Provincial Government of more than 30. But the result was direct involvement of many people from multiple previously opposing groups, and a long period during which they learned to work together and to trust one another. Together they oversaw the negotiations for the BPA. They jointly took ownership of that Agreement once it was signed, and they oversaw its implementation. They worked together to establish the ABG. Of course the BPA intends the ABG to be far more than just a symbol of reconciliation and unification. It is also intended unify Bougainvilleans and work to meet the special needs of Bougainville through the way in which it governs Bougainville, under the complex constitutional arrangements for the autonomy promised by the BPA, implemented through the changes to the PNG Constitution, and given an institutional basis in the Bougainville Constitution. Under the BPA, the ABG has extensive powers and resources made available to it, intended to enable it to not only develop the policies and laws needed to solve the problems and realise the aspirations of all Bougainvilleans, but also implement those policies and laws so as to make real differences in the lives of all Bougainvilleans. participate in international cultural exchanges, trade and tourism promotion, and sport. Finally, it is the ABG that has authority, on behalf of all Bougainvilleans, to oversee the preparations for a most significant act of self-determination – the referendum on the future political status of Bougainville (which must include a choice of independence), which must be held before mid-2020. the question or questions to be asked in the referendum. You may be interested to note that, in my capacity as the ABG Minister responsible for referendum preparations, in the last week I have been deeply involved in discussions with the National Government over these and related matters. Significant progress has been made. In summary then, the key leadership roles of the ABG include reconciliation and unification of Bougainville, using its powers and resources to make and implement policies and laws that deal with the problems and realise the aspirations of Bougainvilleans, speak for them in dealings with the PNG National Government and the international community, and act in their interests in preparing for their act of self-determination, in the form of the referendum. Finally, the Bougainville Constitution spells out these and other leadership roles of the ABG, often in detail. The draft Bougainville Constitution was developed between October 2002 and July 2004 through a highly participatory process conducted by the 24 member Bougainville Constitutional Commission. It involved several rounds of public consultation, about successive drafts of the Constitution. The final draft was then submitted – together with a more than 300 page explanatory report – to the Bougainville Constituent Assembly. It comprised the almost 150 members of the BPC and the Bougainville Interim Provincial Government, sitting as a joint body. The Constituent Assembly made very limited changes to the draft before adopting it in November 2004, and it was endorsed by the National Executive Council a few weeks later. ‘strive to eliminate universal problems in Bougainville of poverty, illiteracy, corruption, pollution, unemployment, overpopulation and other ills’. A full reading of the Bougainville Constitution highlights other roles and goals for the ABG, seen especially in the detail of the Bougainville Objectives and Directive Principles (sections 11 to 39 of the Constitution). But I will not burden you with a detailed exposition of what is largely an elaboration of the main points that I have already highlighted. I must, however, highlight one fundamentally important goal that the Constitution emphasises the ABG MUST pursue. It is the ‘aim to achieve fiscal self-reliance [for Bougainville] as soon as possible’ (section 153(1)(a)). The Constitution also directs that ‘the need to achieve fiscal-self reliance as soon as possible’ must be considered by the ABG when determining what functions and powers it seeks transferred from the National Government. I turn now to the question of the leadership challenges facing the ABG in carrying out the roles given to it, and the goals it has been asked to pursue. It is to be expected that there are many challenges inherent in its remarkable range of leadership roles. I propose now to briefly survey 14 areas of particular challenge, or special importance. It’s hardly surprising that, in the aftermath of such a violent, bitter and divisive conflict, that many opposing factions and divisions exist in Bougainville, and that consequentially, there is still much mistrust. Many of the issues here involve some continuity with problems that occurred during the violent conflict, 1988 to 1997. But there are also significant new development. I’ll mention just a few. While the ‘mainstream’ former BRA and BRF elements that supported the peace process now largely work well together, at the local level there remain many unresolved divisions, where reconciliation is still required. While the BRA and the BRF no longer exist as armed ‘militias’, since about 2010 former combatant organisations have emerged as significant political voices in Bougainville. To some extent this development reflects uncertainty for some former senior leaders about whether President Momis, elected in mid-2010, was too much a PNG nationalist, and not sufficiently committed to the holding of the referendum. While that concern has now reduced significantly, I think it contributed to a number of pressures that saw the former combatants become more politically active. A complicating factor here is the various business and other economic interests of several key former combatant leaders. Some of them use their ex-combatant networks to advance such interests. Former BRA leader, Sam Kauona, who has long had interest in establishing mining operations in association with dual Australian/Canadian citizen, Lindsay Semple, and who – whenever they fear their mining interests are not sufficiently guaranteed – attacks the ABG as being under the control of Bougainville Copper Ltd (or BCL) and its 53 per cent majority shareholder, Rio Tinto. The Peace Agreement contained a plan for the BRA, BRF and Me’ekamui groups to disarm, but as we’ve seen, the Me’ekmui people did not join the process and retained their weapons. The agreed plan was implemented under UN supervision, resulting in destruction of about 2,000 weapons. BRA and BRF members were give strong incentives to dispose of weapons by provisions linking UN certification of adequate completion of particular stages in the disposal process to the coming into operation of the constitutional laws giving effect to the Peace Agreement, and the holding of the first ABG elections. But some weapons contained by BRA commanders were not destroyed, and were later put to use in localised armed conflict in Konnou, 2006 to 2011, in which scores of people were killed. In addition, some BRA and BRF members retained weapons, due to suspicion of PNG or of one another, or for the purpose of sale, or for use in criminal activities. Further, since implementation of the weapons plan ended, in 2005, additional weapons have come into possession of some Bougainvilleans. Though exact numbers are not known, they include: some weapons brought in from Solomon Islands; probably some hundreds of refurbished WWII weapons; and possibly some weapons supplied to former BRF members by contacts of theirs in the PNGDF. Not only have such weapons been used in localised conflict, they have also been employed in several instances of violent crime. Further, a significant commercial trade in Bougainville weapons has emerged, both an especially lucrative trade into the PNG Highlands, but also a less lucrative internal Bougainville trade. The ongoing availability of weapons undermines security, and is a constant threat to the strengthening of law and order. We also have growing fears that the presence of weapons could undermine the prospects of a free and fair self-determination process, through the Bougainville Referendum. Paradoxically, the approach of the Referendum provides us with the opportunity to encourage disposal of weapons. Many who have retained weapons claim to have done so for fear that the National Government could not be trusted to allow the referendum to be held. Now that it is becoming clearer that this fear will not be realised, we are finding that Me’ekamui faction leaders and former BRA and BRF leaders are all engaging with the ABG about agreeing a new disposal process that will make Bougainville weapons free before the Referendum is held. We face many difficulties in improving the law and order situation. While in general it is far and away much better than it was 19, or 10, or even 5 years ago, there is still much to be done. Contributing to the difficulties is the limited understanding and acceptance of ‘outside’ law, and also ‘outside’ law and justice institutions. Direct colonial administration in Bougainville began only in 1905, and was imposed with violence, and in a very uneven manner. Some areas had almost no administration contact until after WWII. Even then, colonial administration was limited to occasional patrols in many areas. So even before the conflict, in the 1970s and 1980s, in much of rural Bougainville, most of what we might classify as crime was dealt with by local clan leaders, broadly under ‘kastom’. Such matters were often seen a causes for concern because they could damage relationships, rather than because of ‘criminality’. After the initial withdrawal from Bougainville of PNG security forces in March 1990, there were extended periods for most of Bougainville when ‘outside’ law, and law and justice institutions, ceased to operate completely. While in some areas customary leadership continued to deal with many of the same things that they had previously managed, in much of Bougainville even that leadership was severely disrupted. In those areas the situation was close to anarchy. The impacts in terms of deaths, injuries, trauma and division were horrific. Since the early 2000s there has been a significant effort, mainly funded by Australian aid, and to a lesser extent New Zealand, to re-establish law and justice institutions. But unfortunately these changes have largely ignored the 2004 recommendations of the Bougainville Constitutional Commission. It held extensive public consultations around Bougainville from late 2002 through 2003. This established that there was strong community demand for a law and justice system quite different from that operating in the rest of PNG. Our people wants a system reflecting the needs and special circumstances of Bougainville. I remain committed to much more effort to develop appropriate policies and law and justice institutions. However, a major obstacle here is the limited capacity in the Bougainville Public Service and the still infant Bougainville Police Service to undertake policy development work. That leads me to the next area of leadership challenge for the ABG. In general the ABG faces grave difficulties because of the weakness in administration and policy capacity in both Bougainville’s Public Service and Police Service. It was one of the great tragedies of the Bougainville conflict that the remarkable capacity of the North Solomons Provincial Government administration, built up over the 15 years from 1974, was almost entirely destroyed. It could not simply be re-established after the conflict. The very much weakened administration of the Bougainville Interim Provincial Government was taken over by the ABG in mid-2005. But during the conflict, management, planning and accountability mechanisms had been severely weakened. The capacity of the PNG Police in Bougainville had been all but destroyed during the conflict, and a tiny group of officers concentrated in just 2 or 3 urban centres, and with very low morale, was all there was in 2003. While significant efforts to rebuild the police, in particular, have been made, particularly in terms of recruiting training new officers, many problems remain. They include orientation of the police (more towards urban-based reactive policing than community based rural policing in cooperation with customary leaders), and grossly inadequate staffing for supervisory positions. In terms of policy development, both the Public Service and the Police Service personnel are mainly trained to deliver existing PNG public service and police programs. They have no experience or training in policy development. It is very difficult for the ABG to meet the BPA leadership challenge inherent in the goal of solving Bougainville’s problems and meeting the aspirations of Bougainvilleans when policy development capacity is all but lacking. We are working hard to respond to the problems here. In 2014, all public service functions and powers were transferred to the ABG, with our enactment of the Bougainville Public Service Act. We have since established our own new departmentalised structure. In the process we have raised the seniority and remuneration of most positions to make them more competitive. The PNG Departments of Finance and Personnel Management have been fully supportive in terms of funding the extra costs when calculating the annual Recurrent Unconditional Grant (which I will touch on a little more shortly). We have since advertised all departmental head and constitutional office positions, and made a number of new appointments. The rest of those new positions should be filled soon. The next stage will be the advertising of the senior management positions in all departments. That will be followed by more junior positions. All positions are open – all current employees will have to compete. By the end of 2016, the new and much leaner structure will be complete. Will that result in major changes in capacity and performance? While that is our goal, there are still many serious obstacles, including the difficulties in attracting experienced and competent applicants willing to come to Bougainville when they know housing, education and health services are of such low standards compared to those available in major urban centres such as Moresby and Lae. While the BPA and the constitutional laws make a remarkably extensive range of functions and powers available to the ABG, there is a transfer process involved. It involves the ABG initiating the transfer process by request to the National Government. Negotiation is then required to develop necessary transfer plans within a year. The plans are required to take account of the need to build the necessary ABG capacity and provide it with the necessary financial resources to take over the functions and powers in question. The transfer process for many functions and powers has become bogged down in problems, misunderstandings and inertia. In general there’s been a failure to address ABG capacity and resources needs. There have also been some significant exceptions, including public service powers and mining. The much slower than anticipated progress in transfer of powers has resulted in frustration, and contributed to widespread criticism of the ABG for lack of performance, and failure to meet expectations. The pre-conflict economy was dominated by the Panguna mine. Post-conflict, there are limited possibilities for dramatic expansion and development. The small-holder cocoa, and to a lesser extent, copra, sectors have been re-established. But most plantations are worked only by informal settlers, with little incentive to invest in improvements. The only major new industry is small-scale gold mining, involving perhaps 10,000 miners (some full-time, many more part-time). They generate perhaps K100 million per year for miners. There is undoubtedly scope for expansion of agriculture – particularly through more efficient management. But despite claims to the contrary by some critics, there are also significant restrictions. Arable land is limited. We also face significant land shortages in many areas. Such shortages are a major factor in localised divisions and conflict. If the ABG is to achieve real autonomy, or to have independence available as a real option in the future, achieving fiscal self-reliance is essential. But the challenges of achieving that goal – so strongly emphasised by the Bougainville Constitution – are immense. It is the need to explore realistic means of achieving that goal that has been a major factor leading the ABG to consider the possibility of permitting strictly limited large-scale mining. However, any such mining must be on a dramatically different basis from the grossly unfair conditions under which BCL operated the Panguna mine – matters that I will discuss in more detail a little later. There are critics of ABG mining policy. The main ones are a few noisy outsiders. They include the NGO, Jubilee Australia, and close associates of Jubilee that post endless ‘anonymous’ postings on the ‘PNG Mine Watch’ and ‘PNG Exposed’ blogs. They refuse to in any way recognise the grave dilemmas facing the ABG. They have no understanding of the realities of Bougainville and the complex leadership challenges facing us. Fiscal self-reliance is at present nowhere in sight. Instead, the ABG is almost completely dependent on grants from the National Government – and donor support. The ABG annual budget of more than K300 million per year is nowhere near enough to deliver reasonable levels of even the most basic services to our more than 300,000 people. Yet more than 90 per cent of that budget comes in the form of PNG grants and donor funds. The ABG raises less than K10 million per year through our own taxes (liquor licensing fees, sales tax on tobacco and alcohol, motor vehicle registration fees and so on). Part of the National Government funding is also derived from Bougainville – for we are supposed to receive all personal income tax collected in Bougainville. At present the payment is only K5 million per year, and despite many requests for information on actual collections of that tax, we have no idea of actual figures. We are also entitled to just 30 per cent of the PNG’s goods and services tax collected in Bougainville. The main-stays of the Bougainville economy are small-holder cocoa and copra production, and small-scale gold production. Their combined income from these sources in recent years averages K250 to a maximum of K350 million per year. We often consider possible imposition of ABG taxation on this income. But we are deeply concerned about taking too much money from the limited income available to our people. In addition, we have to consider costs of collection, and the difficulties likely to be created by emerging incentives for black markets. Probably our best option will be some form of indirect taxation on consumption (perhaps a sales tax additional to the GST imposed by the National Government). But we know that there would be considerable resistance to imposition of such an additional tax. Further, even an additional 10 per cent tax would be likely to generate a maximum of perhaps K50 million – nowhere near enough to bring us anywhere close to fiscal self-reliance. Does anyone really question why each ABG since 2005, with the clear support of many, many Bougainvilleans, has been open to the possibilities of limited large-scale mining for a Bougainville that is committed to self-reliance as it seeks real autonomy, and prepares for an act of self-determination? What responsible government in our circumstances would not explore that possibility? The key aims of autonomy set out in the BPA extend beyond empowering Bougainvilleans to solve their own problems and work to realise their aspirations to recognise the need for the ABG to have the resources needed to achieve those lofty ideals. So it states that the autonomy arrangements are also intended to (and I quote) ‘provide sufficient personnel and financial resources for the autonomous Bougainville Government to exercise its powers and functions effectively’. Unfortunately, the BPA never delivered fully on that aspect of its goals. That was largely because of the severe fiscal crisis that was facing PNG in the years when the BPA was negotiated. That crisis made it very difficult for the National Government to accept Bougainville demands for generous funding. Of much greater concern is the failure of the National Government to deliver even the inadequate levels of funding promised by the BPA and the Constitutional Laws giving effect to it. I will not go into detail here. Instead I will highlight two of the most serious sets of problems involved. First, the main annual grant payable to the ABG is the Recurrent Unconditional Grant. It funds recurrent costs (salaries and operational costs) of ABG functions – both those inherited from the previous provincial government, and new ones taken on in the process of transfer of powers. Amongst many problems with calculation of the grant has been lack of attention to the costing of the expense to the ABG of transferred activities (a notable exception, however, being in relation to costs of the transfer of public service powers). Another problem has been National Government failure to extend to Bougainville the significant benefits of new approaches to calculation of the similar grants payable to provincial governments elsewhere in PNG, as it is required to do by the BPA and section 48(2) of the Organic Law on Peace-building in Bougainville. The second set of problems concerns calculation of the only other major annual grant payable to the ABG – the Restoration and Development Grant (or RDG). Because of the fiscal crisis of the late 1990s and early 2000s, the RDG base amount was not high – just slightly more than the K10 million PNG Public Investment Programme (or PIP) funds available for Bougainville in 2001. But in negotiating the annual RDG calculation arrangements, clear agreement was reached that when PNG’s then fiscal crisis was over, Bougainville would be guaranteed to share in increased tax revenue, as represented by percentage increases in the annual PNG PIP. So provision was included that the annual RDG payable would not reduce below the 2001 base figure. It would only be adjusted upwards, by the rolling average of the change in the PNG PIP in each of the five years prior to the year of grant. By 2005-06, as new resource projects came on stream in PNG and commodity prices rose, the annual increase in the PIP became large. Unfortunately, although the National Government did increase the RDG, to K15 million a year, it simply did not make the annual calculations required by the BPA and the Organic Law. RDG calculation became an ever more difficult source of contention between the governments. In 2010 and 2011, the ABG began doing what it should have done from 2005 – that is, it made its own calculations of the RDG amounts that should have been paid annually. These indicated that the annual amount payable was over K60 million (over four times more than the K15 million actually paid annually). Further the unacknowledged and unpaid arrears amounted to over K200 million. Since 2011 there have been increasingly acrimonious exchanges over the issues here. They remain unresolved. It is true that the National Government has made other funds available, notably a Special Intervention Fund of K500 million for major infrastructure to be made available at K100 million per year from 2011. So far only K300 million has been paid. It is most unlikely to be paid in 2016 due to the current fiscal crisis facing PNG. While payments received have been a welcome additional source of project funding, it is not the grant funding available to the ABG intended by the BPA. Without the RDG paid at the constitutionally guaranteed levels, the ABG does not have available to it the necessary financial resources that the goals of the BPA indicated were necessary. In particular, because it was always understood that Recurrent Grant expenditure would be virtually tied to meeting costs of existing services, the RDG would be the main source of ABG discretionary funds. In the absence of the correct levels of RDG, we in the ABG could be excused for feeling that our role has been reduced to little more than oversight of basic service delivery! So much for the goal of achieving self-determination through autonomy! Another tragedy of the Bougainville conflict was the severe undermining of the high standards of financial management and accountability that the previous North Solomons Provincial Government had developed. There is no doubt that financial management and accountability standards reduced dramatically during the 1990s. Corrupt practices crept in that are now difficult to eradicate. But their eradication is a major focus of the major reforms involved in the Bougainville Public Service. Corrupt officers will be replaced. Accountability mechanisms are being strengthened. Our new internal audit office established in 2015 is already having an impact. A major set of issues challenging all three ABG Presidents and their governments (the Kabui government elected in mid-2005, the Tanis government elected in December 2008, and the Momis governments elected in 2010 and 2015) has involved the future of large-scale mining. There are two distinct issues here. One is whether the Panguna mine should re-open. The second is whether any other large-scale mines should be permitted. Some Bougainvilleans completely oppose either form of large-scale mining. But my strong impression from my wide travels and consultations all over Bougainville is that a solid majority is open to both possibilities. However, all insist that any new mining that occurs must be under a totally different set of conditions than those under which the colonial regime imposed the Panguna mine’s operations on Bougainville. Further, most such Bougainvilleans are open to resumption of Panguna by BCL. That company clearly accepts responsibility for much of what went wrong in the 1980s. There is concern that a new mine operator may reject any responsibility for mine legacy issues. The ABG has responded to demands that mining only occur under new and fair conditions accepted by landowners. Its law provides that owners of customary land also own all minerals on, in or under their land. Such rights are accompanied by landowner veto rights over either or both intensive mineral exploration on their land, and/or the grant of licences for mining development. As a result, neither Panguna nor any other mine will open in the future without landowner agreement. That will be determined by democratic associations. In the Panguna case, since 2011, the landowner communities in the areas of the former leases associated with the mine (and some adjoining areas) have established nine associations. The executives were elected through general meetings attended by a total of about 2,500 landowners. No decision about the future of Panguna has yet been made by those associations. Indeed, the ABG has nor requested them to make any such decision. But solely at the initiative of a broadly representative meeting of over 50 senior landowner community leaders in July 2012, the ABG has worked with the associations towards holding a preliminary reconciliation (Bel Kol) with BCL. The aim in 2012 was to enable BCL to establish a presence in Bougainville needed to prepare for possible discussions about negotiations. But there has been an hiatus since August 2014. ABG mining law stripped BCL of most of its tenements. It was left only with an exploration licence over its former Special Mining Lease. The mining giant, Rio Tinto, 53.6 majority shareholder in BCL, then decided to review its ‘investment’ in BCL. That resulted in most of the tentative steps towards possible negotiations being put on hold. Rio Tinto recently advised the ABG that its review may not be completed till late 2016. In the meantime, additional complexity has resulted from a series of National Government initiatives since 2014 to purchase the Rio Tinto 53.6 per cent equity in BCL. Together with its existing 19.3 per cent equity, that would make PNG 72.9 per cent majority shareholder in BCL. The ABG is unclear why the National Government has demonstrated such determination in relation to the purchase of the equity – though that has not prevented some speculation on the possible issues involved! The President has consistently informed the Prime Minister, in the strongest terms, that these proposals are not acceptable to Bougainville. And that indeed, if implemented, the proposals would risk conflict. He has advised both the Prime Minister and Rio Tinto that if, as seems increasingly likely, Rio decides to end its involvement in BCL, then the Rio equity should be transferred to the ABG and former Panguna leases landowners, without payment. Further, Rio Tinto must take full responsibility for an environmental clean up and mine closure program that deals properly with the major mine legacy issues. In relation to whether other large-scale mines should be permitted in Bougainville, the Bougainville Mining Act provides several important protections. They protect not only landowners likely to be impacted by any particular project, but also the wider Bougainville community. One protection is the adoption under the Act of the reservation of almost all of Bougainville (other than the BCL leases) from mining exploration and development, under the terms of a 1971 mining moratorium imposed by the colonial administration. That moratorium can only be lifted, wholly or in part, by the ABG Cabinet, but only after debate on the proposed decision in the ABG legislature. With the Bougainville Mining Department getting ready to manage mining tenement applications, the ABG Cabinet decided in March 2016 that in advance of even considering a decision on the future of the moratorium, there should be wide public debate on the issues involved. But with the ABG in fiscal crisis (because of PNG’s own fiscal crisis) we do not have the funds necessary for an extensive public awareness and consultation program. So as a substitute, we decided to initiate public debate through a two stage debate in the ABG legislature. The first stage was a debate in early April. When it was adjourned, all members were asked to consult their constituents on the issues involved, with a view to a debate with expanded scope at the next meeting of the House. Only after that will the Cabinet consider a possible decision on the future of the moratorium. The President has publicly spelt out his view. He argues that the moratorium should be only partially lifted. That would provide ongoing protection to Bougainvilleans. It would also enable us to assess how well our new tenement administration system operates. The other major protections under the Bougainville Mining Act are first, the veto powers of landowners of any exploration or mining licence application, and second the prohibition on the operation, at any time, of more than two very large mines. But a concern expressed by the President about possible full lifting of the moratorium is that there would be no limit on the number of smaller open cut or underground mines (save to the extent that landowners veto such developments). So I’m sure you can see the extent of the leadership challenges facing the ABG in relation to decisions on the future of Panguna and other large-scale mines. While most Bougainvillean language and culture groups adhere strongly to matrilineal descent principles, this does not equate to anything like matriarchy. Males in the matrilineal societies are full members of the same clan-based landowning groups that their mothers, sisters, and maternal aunts and nieces belong to. More important, it is males that generally take on public roles of speaking for their lineage in decision-making about land – and about many other important matters at the ‘village-level’. Consequently, many Bougainvilleans tend to see little basis for roles for women in public life outside the village. The Bougainville Constitution seeks equality for all, and fair representation of women on all constitutional and other bodies. It also seeks recognition and encouragement of women’s roles in both ‘traditional’ and ‘modern’ Bougainville society. It specifically seeks development of those roles ‘to take account of changing circumstances’. It is difficult, however, to achieve rapid change to deeply ingrained cultural norms. For that reason alone, progress towards our constitutional goal of much greater gender equality has so far been slow. The first step – three reserved seats for women in the ABG House of Representatives, out of a total of 40 seats – was a welcome signal of change. But it was far from a clarion call for real equality. A strong move has recently been made, however, in that direction. This involves an ABG Cabinet decisions on developing a new draft Community Government Act. It should be ready for debate in the House in June. It involves a new local-level government system, to replace the Council of Elders (or COE) system set up under 1996 Bougainville legislation. Instead of the COEs, which were made up mainly of unelected traditional leaders, ,– and traditional leaders will continue their roles in village-level governments. Each community government will have a minimum of 3 and a maximum of 12 wards, and each ward will elect two members – one female and one male. Each community government will have a Chair and a Deputy Chair. If the Chair is a female, the Deputy must be a male, and vice versa. Following the second Community Government general elections, the ‘gender of the member chosen as Chair … must not be the same as the gender of the person who was Chair immediately before the … election’. In this way, the Bougainville Community Government Bill, when enacted as law, will ensure not only that there are equal numbers of men and women elected to community governments, but also that over time, women will have equal opportunity to hold the senior ‘executive’ positions in community governments. Little more needs to be said here about the referendum, other than to emphasise that the ABG has heavy constitutional and political responsibilities in relation to the referendum preparations. It is now increasingly likely to be held in 2019. Following the conduct of the referendum, the ABG will need to shoulder even more significant responsibilities, in terms of negotiating with PNG on implementation of the outcome and managing the ensuing situation. An unexpected challenge for the ABG has been the sometimes amazing extent of deeply misleading public commentary on Bougainville, the ABG, its mining policy, and related matters. This commentary began mainly in 2012 as the ABG moved to develop its own mining laws. The main attacks have come from two sources. One involves small groups in Bougainville. The other is a closely linked external network. Their main ‘message’ is that – in some way never explained, and with no credible evidence ever provided – the ABG is under the control of, or part of a conspiracy with, Rio Tinto, BCL, Australia and PNG. This conspiracy (or so they say) is intended to force the re-opening of the Panguna mine against the united opposition of the people of Bougainville. The small group inside Bougainville involves a few foreign ‘adventurers’ seeking control of mining resources. They do so by fostering links with Bougainville factions. The ‘adventurers’ and their local supporters, fear that ABG mining policy and legislation will limit their opportunities. The external network centres on UK-based Australian academic activist, Kristian Lasslett. His network comprises his close associates, including: the NGO, Jubilee Australia; the two blogs run by the PNG-based Bismarck Ramu Group – PNG Mine Watch and PNG Exposed; the Bougainville Freedom Movement; a group of criminologists supposedly studying ‘state crime’, calling itself the ‘State Crime Initiative’; and an Australian activist journalist, Anthony Loewenstein. All network elements have their own ideological positions that they project onto Bougainville. They do so with virtually no understanding of, or interest in, what is really happening in Bougainville. They do not need much in the way of evidence, mainly because they have no interest in understanding our complex reality. Rather, they pick and choose a bit of information here, an opinion expressed there, and twist what little they have to fit their own pre-conceived theoretical or ideological position. The misinformation that they put out has very little impact in Bougainville. But the internal and external contributors are mutually reinforcing. The external network undoubtedly provides encouragement to the foreign adventurers and their associates in Bougainville. The misleading commentary does also perhaps influence perceptions of Bougainville by uninformed observers outside Bougainville. So while not a major leadership challenge, it is certainly one that we would prefer to do without. The final leadership challenge I will mention involves the grave difficulties we face in providing accurate information to the people of Bougainville. Perhaps 90 per cent of Bougainvilleans live in mainly small, scattered hamlets in rural areas. Many are in remote areas, completely inaccessible by road or air. In our post-conflict situation, as we seek to implement the complex BPA and constitutional arrangements, it is very challenging indeed to get accurate and balanced information to our people. The misleading commentary – especially what we might call the Lasslett network – regularly attacks us for inadequate consultation on mining policy and laws. Yet we have allocated far more effort and resources to consultation on these issues than has ever been done in PNG – with the one, and truly remarkable, exception of the consultation by the pre-Independence consultation by the PNG Constitutional Planning Committee. That was under the leadership of current ABG President, John Momis, a truly committed advocate and practitioner of public consultation. What our uninformed critics fail to acknowledge is the grave challenges involved in carrying out effective consultation in Bougainville’s situation. Radio coverage extends to about 30 per cent of Bougainville. Newspapers have limited reach. The cost of carrying out broad-based face-to-face consultation is astronomical. We are, however, working hard to improve our capacities in this regard. We are doing that with a particular eye to what we know will be the need for extensive public consultation on many aspects of referendum preparations and post-referendum decision-making. We have commissioned research on the ‘communication landscape’ in Bougainville. It involves a Bougainville Audience Study. That has included a survey of over 800 people in all our 13 districts. It is providing data on how people gain access to information, what sources they regard as most reliable, their knowledge of key issues or concepts such as autonomy, independence, referendum. We expect the final report in May. With the help of the information and analysis provided by the report, we will analyse the possibilities. We will seek PNG Government and donor support to assist us in improving our consultation capabilities in advance of the referendum preparations. While undoubtedly the ABG faces many complex and difficult leadership challenges, we are facing them honestly. We constantly explore our best options for dealing with them. Although our resources are extremely limited, we work hard to change that situation, and to face our challenges head on. I can say little more than that. It is interesting to note that President Momis has advised that he is deeply concerned at the lengthy period that has elapsed – now about 15 months – in which resources giant Rio Tinto has been reviewing the future of its majority shareholding in Bougainville Copper Ltd (BCL). The next speaker after President Momis on 17 May 2016 was Mr Peter Taylor, Managing Director, Rio Tinto (PNG) and Bougainville Copper Limited (BCL).. It is also interesting at this point in time that nothing has been publicly revealed about what Peter Taylor had to say about his topic, “Resources Opportunities”. The speech of President Momis of Bougainville has been published for the public to see, yet the speech by Peter Taylor, the Managing Director of Rio Tinto (PNG) and Bougainville Copper Limited (BCL) is impossible to find. President Momis heard Peter Taylor’s speech on 17 May 2016 in Cairns, so what are Peter Taylor, Rio Tinto (PNG) and Bougainville Cooper Limitied (BCL) up to? Please explain. Time to express all President Momis.